Jacob Grecco is an incredible 8-year old little boy from Phillipsburg, NJ. When he was 7, on the morning of July 12, 2011, he had a seizure. Jake was taken to the local ER where he had a CT scan. His family was told that he had a brain bleed. They immediately transferred him to Lehigh Valley Hospital in Allentown, PA. There he had an MRI and a spinal tap. The MRI showed that there was no bleed but that he either had a mass or swelling in his brain. They ruled out several viruses but they still had no answers. They were sent to Children's Hospital of Philadelphia (CHOP) for a second opinion. On July 22, he had brain surgery/biopsy where they diagnosed him with a brain tumor. On July 27, doctors gave the final pathology results/diagnosis. Jacob has a brain tumor called Gliomatosis Cerebri. Funds have been raised for Jacob since his diagnosis but there is still a need. His mom, Stacey Gravina (Lowmaster), is now out of paid time off and beyond medical expenses, it takes a lot of extras to keep Jake and his 2 brothers supported during this difficult time. UPDATE: (Monday, August 1st, 2012) "Jacob Austin Grecco entered into God's Kingdom at 9:26 pm. Jacob fought harder than 100 men. Jacob’s fight will not be lost, it’s just a lot of weight for one little boy’s shoulders to bear. So now it is time for him to rest, we will all be here to carry his strength forward into battle. To take what he has taught us and be better moms, dads, sons, daughters, brothers, sisters, aunts, uncles, cousins and friends to those in our own lives. We will live in the moment, not in the past, and not in the future. We will cherish those we love and have patience for those that test us. Jacob brought us together to fight with him, but now we must let our angel fly. Rest in peace Jacob." Click here to share a video made by Jake's mom for Brain Cancer Awareness in May, 2014. In his honor, Jake's family and friends have started their own nonprofit organization. The Jacob’s Hero Foundation honors the legacy of Jacob Austin Grecco by funding services for families who have experienced child loss. Click here to follow the Foundation on Facebook. Click here to visit their website. Click here to learn about Cure Search. CureSearch for Children's Cancer funds and supports targeted and innovative children's cancer research with measurable results, and is the authoritative source of information and resources for all those affected by children's cancer. 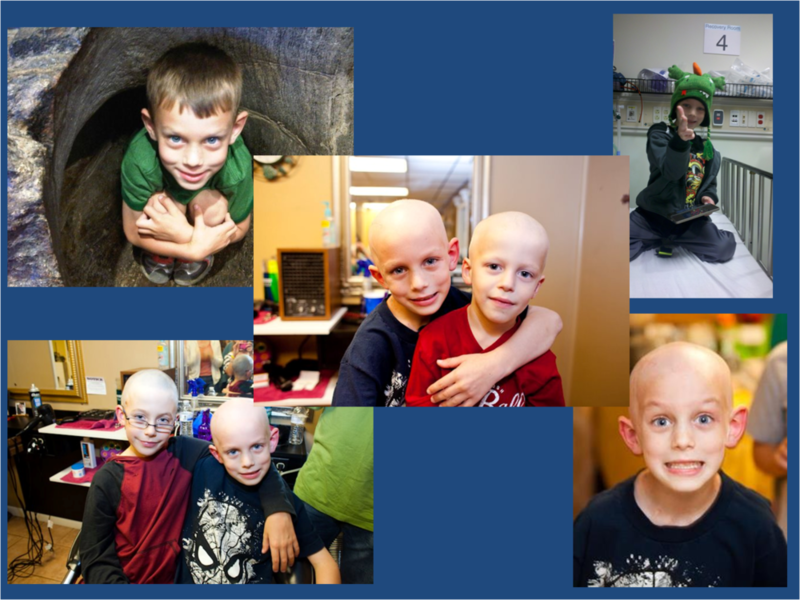 Click here to learn about St. Baldrick's Foundation. The St. Baldrick’s Foundation is a volunteer-driven charity committed to funding the most promising research to find cures for childhood cancers and give survivors long, healthy lives. Click here to learn about Elizabeth's Hope. Elizabeth’s Hope funds a groundbreaking research initiative offering neuroscientists at the Weill Cornell Pediatric Brain and Spine Center the unprecedented ability to identify the unique molecular characteristics of their patients’ brain tumors. Each patient’s tumor’s mutations are different. Knowing the specific molecular “fingerprint” of the tumor allows physicians to prescribe a customized tumor therapy designed to produce the best outcome . This personalized tumor therapy is the key to finding cures for rare brain tumors like gliomatosis cerebri, the cancer that claimed Elizabeth’s life in May 2012.